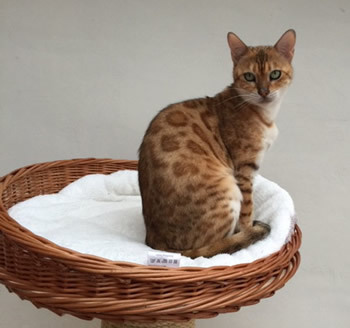 All of Daisy's kittens will be registered under the Leopardstar prefix, as she is jointly owned by Emma & Ann. Daisy is a Blue Eyed Snow Marble Bengal. 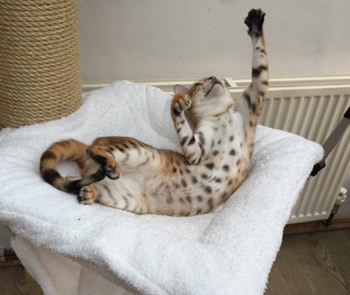 All of Tilly's kittens will be registered under the Leopardstar prefix, as Tilly is jointly owned by Emma & Ann. 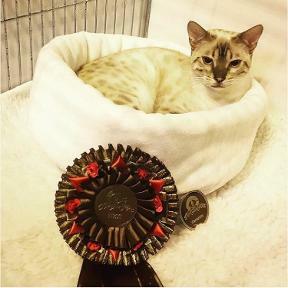 Tilly is a Brown Spotted Bengal but carries for blue Eyed Snows. Known as Bella at home, she is beautiful and daring, on first meeting our dog, she marched up to her and rolled over to be washed. Her Great Grandmother is the one and only Imperial Grand Premier Zawadi Swizzle, and her mother is Imp Gr Pr Zawadi Olympia so she will hopefully continue that beautiful line, with type, temperament and the softest coat you have ever felt. 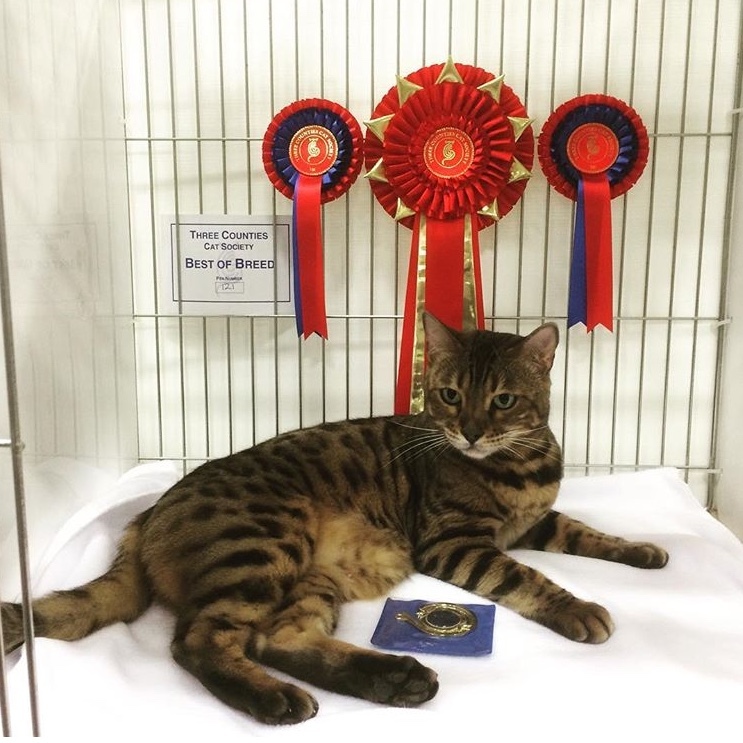 At her first show at 14 weeks old she won 1st in her Open Class, Best of Breed and Best in Show Foreign Kitten plus both her side classes. She has gone on to become a Imperial Grand Champion her self but showing an entire queen is difficult, so her show career is slow. 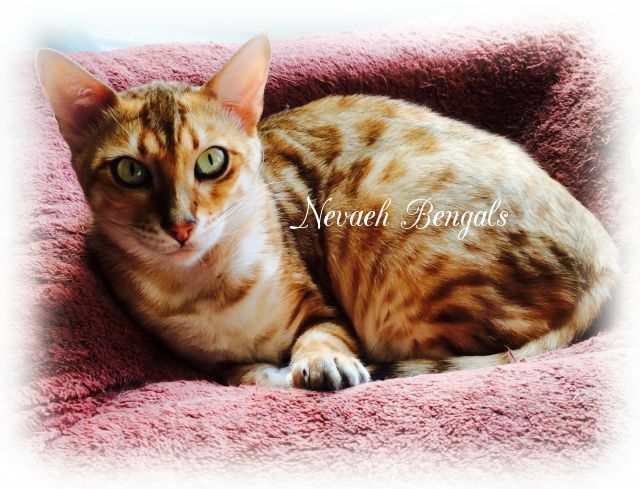 All of Bella's kittens will be registered under the Nevaeh prefix, as Bella is owned by Elena. Bella is normal for Pyruvate kinasedeficiency (PK Def) and we only use negative studs. This means that there is no chance any of kittens will have this condition. 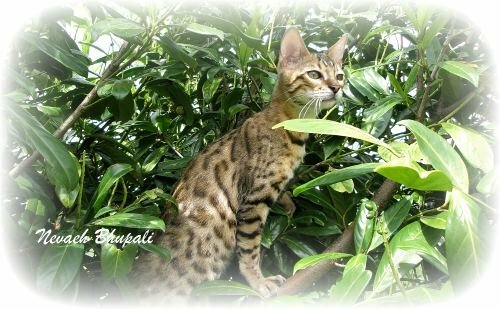 All of Luna's kittens will be registered under the Leopardstar prefix, as Luna is jointly owned by Emma & Ann. 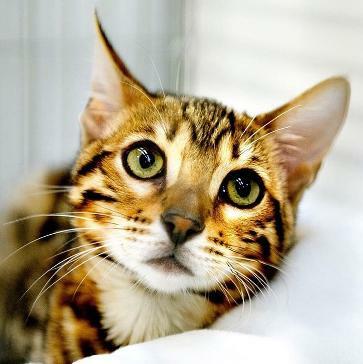 Luna is a blue Eyed Snow Spotted Bengal. 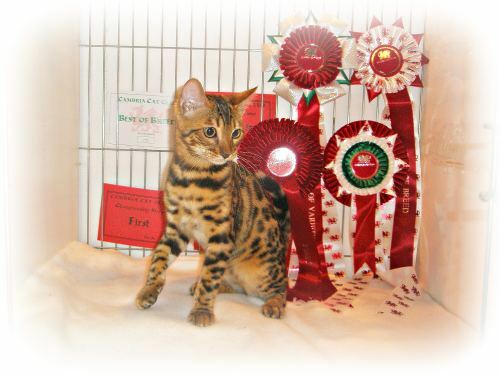 Trix's kittens will be registered under the Leopardstar prefix, as Trix is jointly owned by Emma & Ann. Trix is a blue eyed snow carrier. Known as Nina at home, she is very cheeky and is often waiting to jump out on you from behind the sofa. Her Great Great Grandmother is the one & only Imp Gr Pr Zawadi Swizzle her Grandmother is Imp Gr Pr Zawadi Olympia and her mother is Champion & Grand Premier Nevaeh Bhupali what a fantastic line, with great type, temperament and the softest coats you have ever felt. 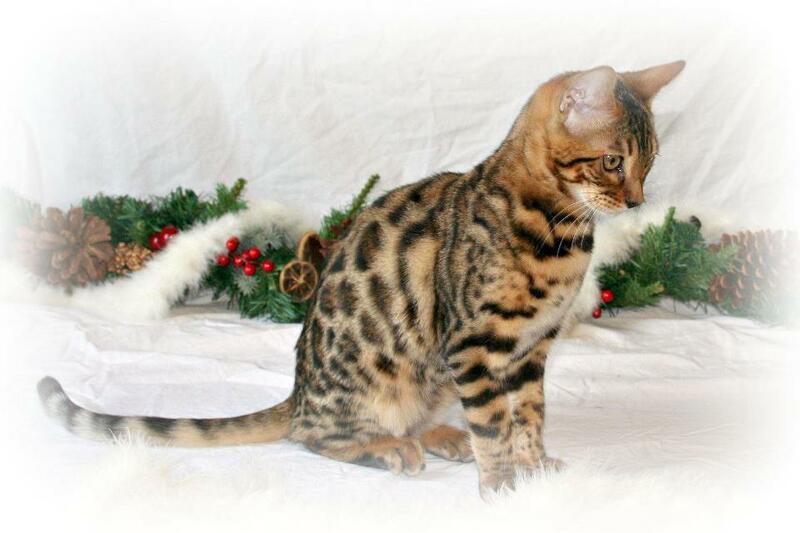 All of Nina's kittens will be registered under the Leopardstar prefix, as Nina is jointly owned by Emma & Ann. Nina is a blue eyed snow carrier. Known as Boo at home, she is very bold and brave, we used to take her to school to see the children and to the local agricultural shop where she got lots of fuss and attention. 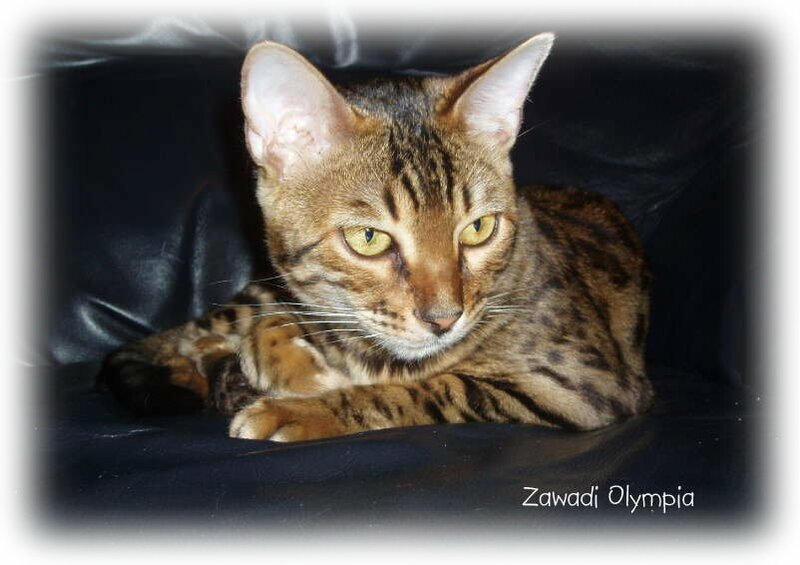 Her Great Grandmother is the one and only Imperial Grand Premier Zawadi Swizzle and her mother is Imp Gr Pr Zawadi Olympia she has continued that beautiful line, with type, temperament and the softest coat you have ever felt. 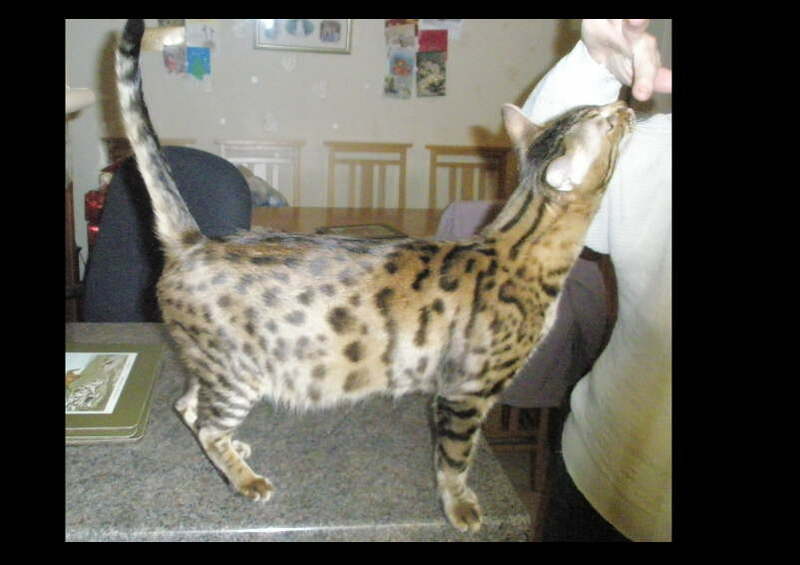 All of Boo's kittens were registered under the Leopardstar prefix, as Boo is jointly owned by Emma & Ann. Known as Cleo at home, she talks all the time, helps with what ever you are doing and likes a shower on a hot day. 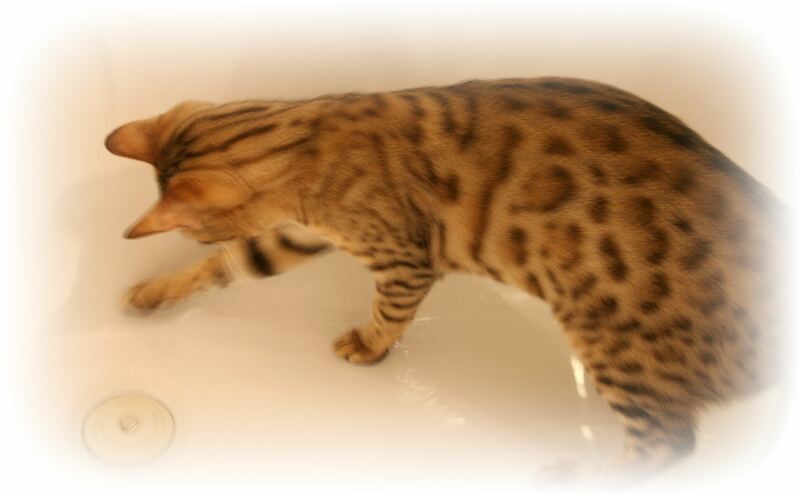 Her Grandmother is the one and only Imperial Grand Premier Zawadi Swizzle and she continues that beautiful line, with type, temperament and the softest coat you have ever felt. Thank you Connie for allowing her to come and live with us. All of Cleo's kittens will be registered under the Nevaeh prefix, as Cleo is owned by Elena. 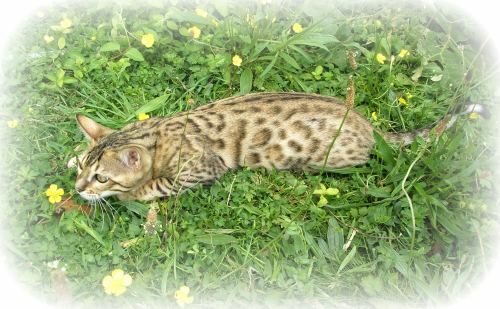 Nevaeh Bengal kittens for sale are from stunning rosetted glittered Bengals. 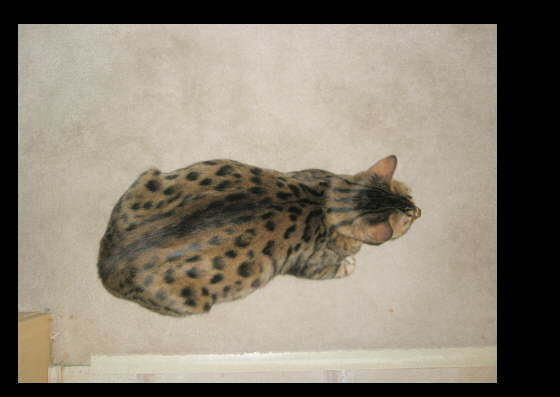 Bengal Cattery & Bengal Cat Breeder in Wiltshire with Bengal Kittens for sale.